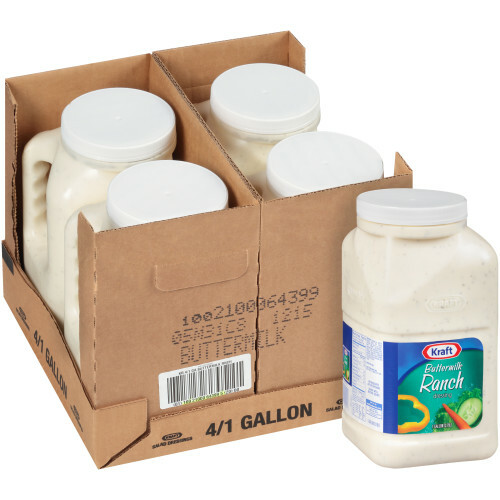 KRAFT Buttermilk Ranch Dressing has the thick consistency of Ranch dressing combined with creamy rich buttermilk with a tangy dairy flavor. This classic flavor tastes great on most entrées and is also delicious when used as a dip! 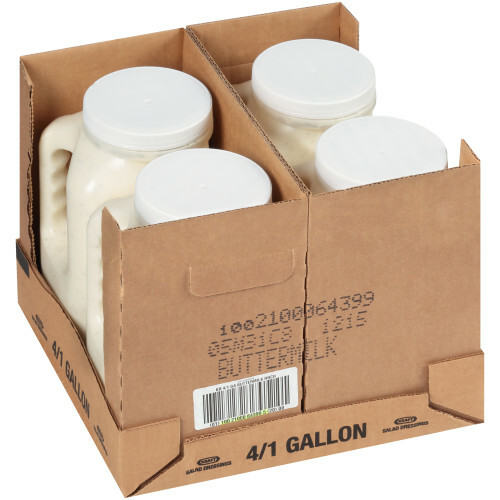 The one gallon jug is perfect back of house format to use as an ingredient or dressing. KRAFT Salad Dressings offer distinctive and balanced flavor, a consistent and vibrant appearance, superior cling and a smooth texture. Single serve dressings are a smart way to have ready-to-use dressings on demand, whenever you need a little extra flavor. 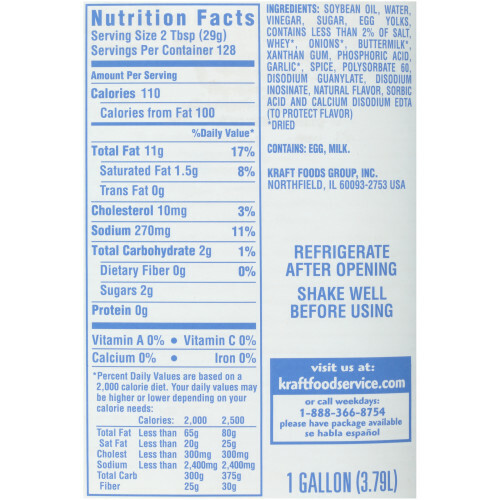 PPI Buttermilk Ranch Dressing, Single Serve 12 g. Pouches, Pack of 200. Experience all of the vibrant and authentic salad dressing flavors at a cost-effective price point. 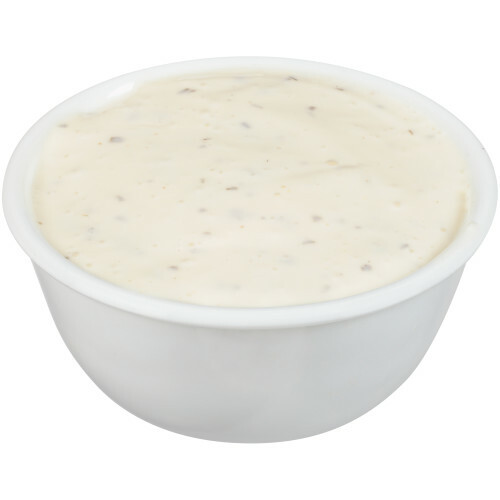 On your next outing make sure to bring along a Buttermilk Ranch Dressing packet as it is a delicious condiment that can be used in a variety of ways such as on salads, sandwiches, and as a dipping sauce. Plus, it is in a convenient single serve packet for your convenience. 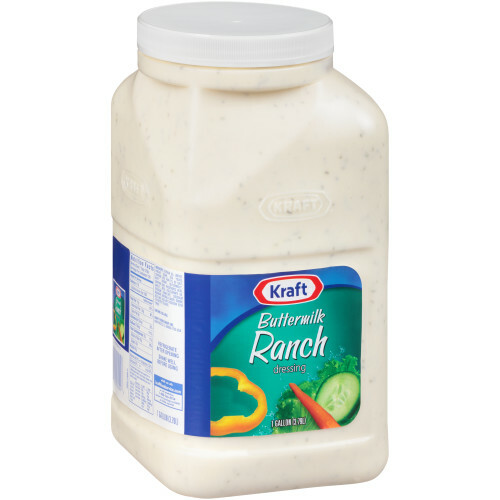 KRAFT Thousand Island is a robust salad dressing defined by a slightly sweet flavor yet balanced out by a subtle tang. It is creamy and rich with a natural tomato profile, and it comes in a great single serve packet that will be sure to satisfy your customers.